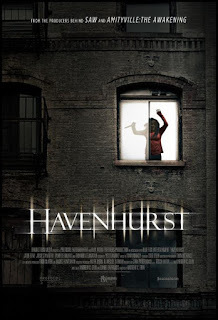 In a short-lived opening cameo, Danielle Harris and her boyfriend are gruesomely murdered, prompting friend Julie Benz (with an unflattering dye-job) to stay at the imposing Gothic building where they perished. 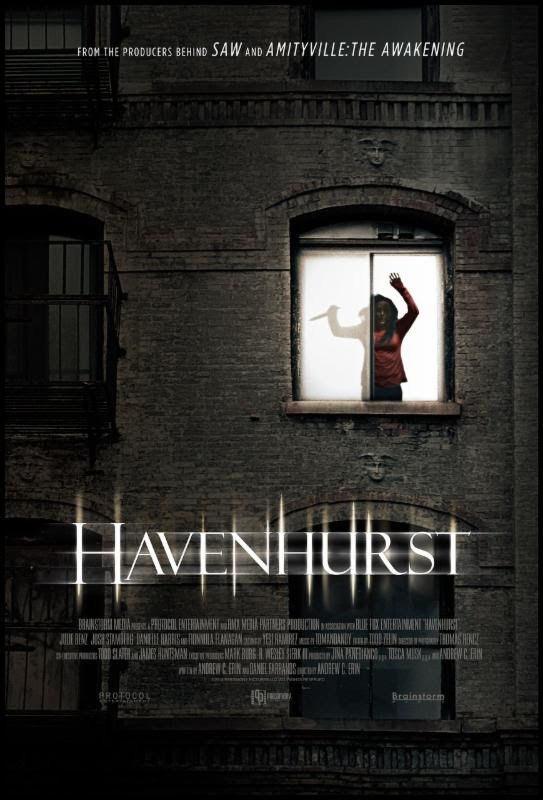 “Havenhurst” is a sanctuary for addicts and troubled individuals overseen by Fionnula Flanagan, who employs her two thuggish sons to carry out appropriate “punishments” for those not towing the line. This plodding, portentous chiller veers from intimations of the supernatural to slasher / torture movie territory (cue : exposed innards and an acid facial!) but repeatedly falls back on groaning clichés, including cheap false scares and ominous, fleetingly seen figures rushing past the camera. Largely confined to the maze-like building, it descends into a series of repetitive chases and narrow-escapes, with Benz a dull heroine drowning in contrived back-story baggage and over-plotted exposition roping in H H Holmes, one of America’s earliest known serial killers. Flanagan easily steals the movie as a well-spoken Fascist with a quietly malevolent smile and Tomandandy provide a characteristically evocative score. Co-writer Daniel Farrands’ best work has been as writer / director of the exceptional documentaries NEVER SLEEP AGAIN and CRYSTAL LAKE MEMORIES.